For Mayan students in the Lake Atitlán region of Guatemala, getting an education is difficult and costly. Much of the population is illiterate and supporting entire families on wages of two to three dollars a day, sometimes requiring students to work in fields or markets in order to help support their family. When students begin ‘basico’–the junior high level–they are faced with school fees. If they make it through this level into ‘diversificado’ (senior secondary), the prices skyrocket. Often there is no senior secondary school available nearby, and they must travel long distances or board in another town to complete their secondary education. In 2012, the first secondary school in the village of Chaquijya, San Pedro, was built through the support of ICO donations, volunteers, and village parents. Many of the parents are illiterate or have a Grade 3 education. Teacher salaries were paid through donations for the first year. Since then, the Guatemalan government has given basic financial support for some salaries, and the initiative has provided extra funds to help expand the school curriculum for its 70 students. In addition to the basic curriculum of Spanish, English, Science, and Mathematics, the school teaches Mayan culture, Mayan language, trades and environmental studies. This initiative is continuing to provide salaries to part-time teachers in music, physical education, computer studies, home economics, and agronomy. ICO is also helping to fund the expansion of their tree nursery and reforestation project. 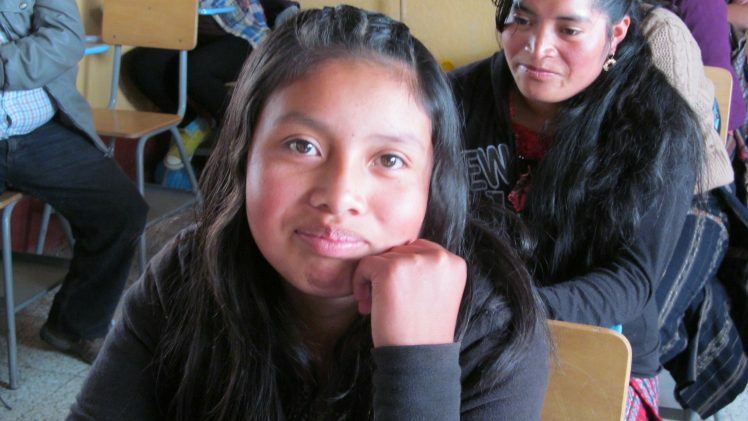 As well as supporting the Chaquijya school, ICO provides scholarships for five university students and two secondary students in the San Pedro area. All of these bright young people are from poor families, and ICO is making it possible for them to achieve their dreams, and help their families.